Summer blockbusters are usually the most hotly-anticipated flicks of the year, and now that the 2011 summer movie season is underway we can’t help but be excited. 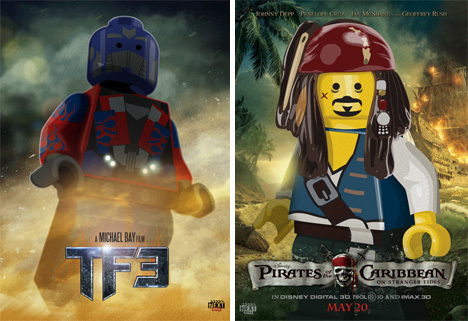 The folks over at NextMovie were pretty stoked, too, so they asked Old Red Jalopy to create Lego-style movie posters for the big summer films. The Summer 2011 line-up is of special note to geeks like us because of the abundance of sci-fi and comic book movies coming to the big screen. 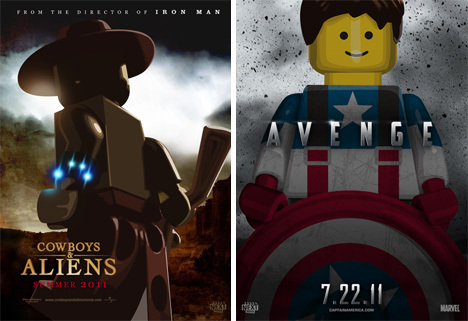 We we already excited to see all of these movies, but now that we’ve seen them in Lego style we’re practically wetting our pants with excitement. 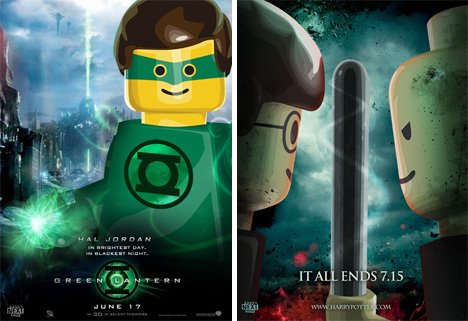 These excellent posters prove that everything really is better in Lego form. 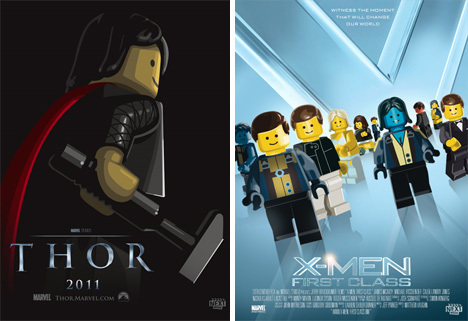 From Thor to the last Harry Potter movie to X-Men: First Class, transforming the stars from their human (or mutant) form into blocky little yellow dudes somehow makes every single one of these movies look cooler. Get your biggest satchel ready for smuggling popcorn and boxes of candy, because it looks like you’ll be spending your whole summer in the movie theater. See more in Science Fiction or under Science. May, 2011.